Waterford Glen - Side load garage, fenced back yard, and a great deck to enjoy the outdoors overlooking13th hole! MLS#3487529. Stephen Cooley Real Estate Group. The Summit - Home is convenient to schools. shopping, and restaurants. MLS#3487618. Coldwell Banker Residential Brokerage. Newer roof, high efficiency HVAC, tankless water heater, and leaf-guard installed on gutter system. MLS#3487535. Allen Tate Rock Hill. Country Oaks - We love this homes location, close to shopping and restaurants in a thriving part of Rock Hill, SC! MLS#3486262. Keller Williams Fort Mill. Storage/outbuilding. Fire pit. Rock Hill schools. 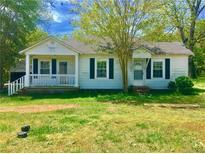 MLS#3482864. Miller Realty Group. Perfect home for 1st time home buyer or Investment property with rental comps of around $950/month. MLS#3486024. Costello Real Estate and Investments. Long Term Rental Property Ready to add to your portfolio. Conveniently located. MLS#3487631. KMG Realty LLC. Come see all the small details that make this property a home! MLS#3486264. Keller Williams Fort Mill. Very close to all three schools. MLS#3486648. Stephen Cooley Real Estate Group. New water heater ('19), newer roof ('14) and HVAC ('15 lower, '17 upper). MLS#3487013. Allen Tate Rock Hill. Stoneridge - There will be a transferable warranty that can be transferred to the new buyer for $100. MLS#3487051. Stephen Cooley Real Estate Group. Pennington Place - Neighborhood is quiet and convenient to all things Rock Hill.. a quick zip into Charlotte. MLS#3487140. Nexthome Downey Properties. Winthrop Downs - Screen porch looks out over the large back yard. Age of home is approximate. MLS#3486788. Stephen Cooley Real Estate Group. Great location with easy access to I-77. MLS#3486842. Allen Tate Rock Hill. Rawlinson Acres I - Schedule a showing today and see why this is the home you've been looking for! MLS#3486758. Keller Williams Fort Mill. Meadow Lakes Ii - Meadow Lakes II offers Pool, Tennis, Fishing/Canoeing Lakes and Club House. MLS#3485884. Allen Tate Rock Hill. Stonetrace - Roof was replaced in 2011, tankless water heater and newer AC. MLS#3486116. Stephen Cooley Real Estate Group. Come see what this property has to offer in person. MLS#3485652. Keller Williams Fort Mill. Red Oaks - Don't let this one get away. MLS#3485863. Stephen Cooley Real Estate Group.